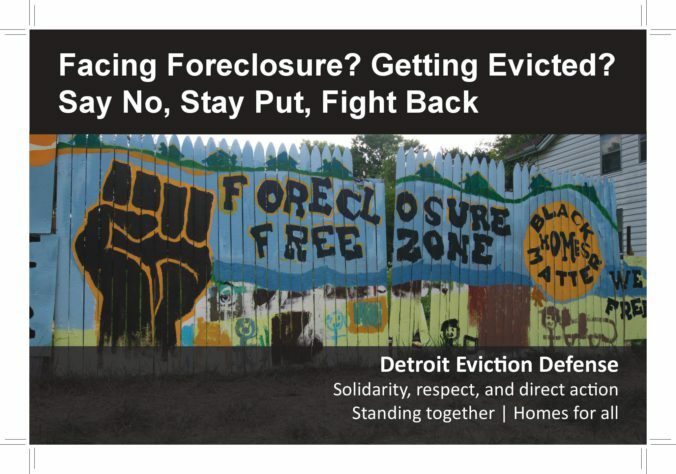 See also Mother Jones magazine article on the chaos as thousands of Detroiters try to save their homes from tax foreclosure, and the March People’s Assembly where Cheryl and other activists spoke. When Cheryl West, 68, got pummeled by disability, unemployment and the loss of a brother and sister within the same year, it wiped out her savings and drastically cut her income. She had only Social Security to live on. As she juggled bills to survive, her back taxes and interest mounted. In 2014 she lost the home she grew up in — that had been in her family 60 years — to tax foreclosure. The tax foreclosure that took her home never should have happened. No one told Ms. West that her income loss would qualify her for a Poverty Property Tax Exemption – an option both the City and County keep quiet about. West applied for the State-run Step Forward program four different times, and was rejected each time. Although Step Forward is supposed to help people save their homes from foreclosure, it rejects homeowners who apply 57% of the time –even as it approves nearly all requests to tear homes down. After the home fell into foreclosure for some $5,000 in back taxes, it was sold at auction to Vanessa Banks for about $20,000. Banks then charged Ms. West about 80% of her social-security income in rent. When Cheryl couldn’t pay, Banks took her to court. As she went through the painful process of disposing of a lifetime of personal and family property, Eviction Defense activists helped her find a new home, rallied in her support, and helped save most of her belongings from being tossed into a dumpster as she was evicted. 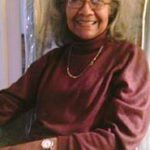 West’s family was the first non-white family in the neighborhood, and her father was the first African-American music teacher in Detroit Public Schools. Now the neighborhood is being taken away, piece by piece, from the African-American residents that made their homes in this previously segregated area. The State, City and County all pay a role in the forced removal of long time residents like West, as they enrich vulture “investors,” and promote what amounts to “economic and ethnic cleansing” of many neighborhoods — and the outright devastation of others, as houses are abandoned and blighted.